Perfect in production, education and laboratory environments, this range features heavy duty PU seats and backs or round upholstered stools with protective rubber edging. The chairs have an Operator mechanism, tested to BS 5459 and conform to the E.U. directive on V.D.U. 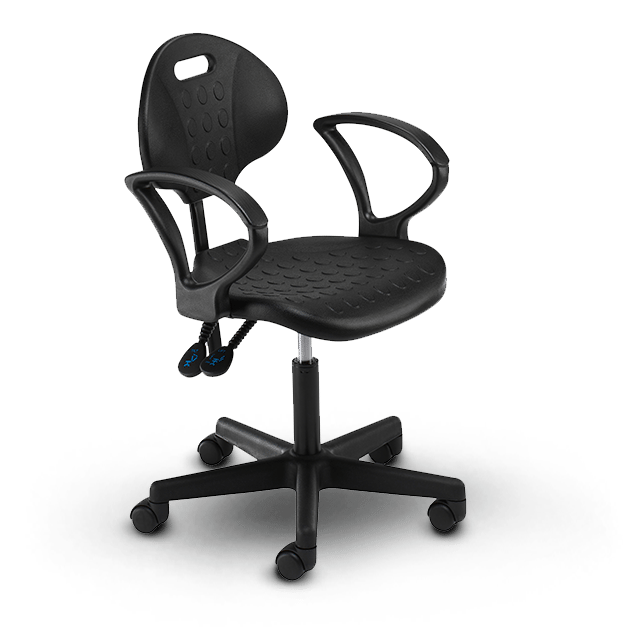 user chairs and the footrings are height adjustable.